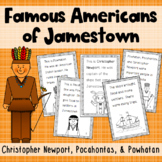 Jamestown, Christopher Newport, Pocahontas, Powhatan Booklet for Primary Kiddos! This PowerPoint lesson goes over the 2nd grade Virginia SOL requirements. Students will learn about the region, climate, land, plant life of the Eastern Woodlands. 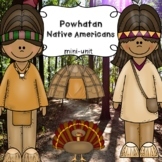 They will also learn about the Powhatan Indian transportation, clothing, homes, contributions, and occupations. 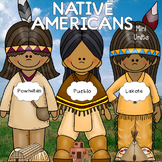 This 30 slide PowerPoint focuses on the Sioux, Powhatan, and Pueblo Native Americans and their housing, their occupations, and their geographic regions. Also includes mention of contributions to present day culture. Full color slides help to bring concepts to life. The reading passages focus on how each tribe adapted their environment. 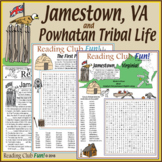 There is a reading passage, writing response section, and pictures to color for each tribe. 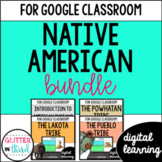 Powhatan, Lakota, and Pueblo Study Guide and More! 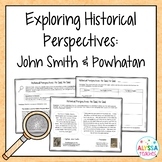 Students will complete this guide which includes the region, climate, clothing, food, transportation, and occupation of the Powhatan, Lakota/Sioux, and Pueblo People. This guide is aligned with the Virginia SOL for second grade.